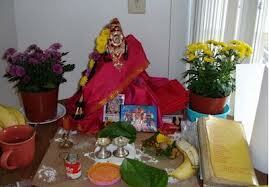 Varalakshmi Vratham mainly observed by married women in Southern parts of India. This vrat is considered as most important among all the vrats. Varalakshmi is the Goddess Lakshmi who grants boons. 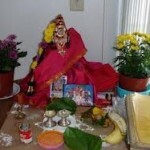 Women, who perform the puja have to observe fast on the eve of this day. There is also a story of Charumati about this Vrat. Vara Lakshmi Vrat is observed on the Friday, that comes before the purnima (full moon) day in the Shravan month. Usually it happens to be second Friday of the shravan (sawan) month, according to amavasyant calenders. This year Varalakshmi vrat is on Friday, 28th August 2015.